I bought my first dehydrator about 7 years ago from a thrift store. It turned out to be one of the best things that I’ve ever bought. But, after 7 years, my dehydrator has taken a beating and some of the trays are cracked. I’ve honestly been thinking about buying a new dehydrator for years, but I don’t like to buy something new when the old one is still working perfectly well! There is simply too much waste in the world with people buying the “newer and shinier” versions that they don’t actually need (Yep, I’m thinking of you iPhones!). Now, you can find all sorts of lists of the best dehydrators of the year. But our goal is to find the best dehydrator for you. All modern dehydrators can be broken down as either stacking tray dehydrators or shelf dehydrators. Each type has its pros and cons. 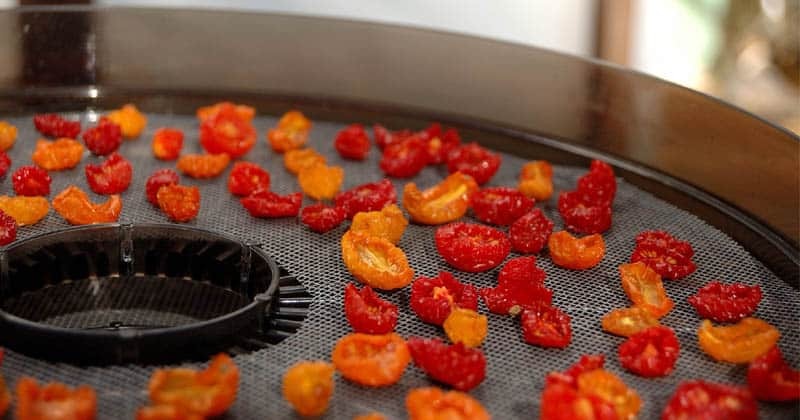 These are the most common dehydrators and are generally very affordable. They have trays which stack on top of each other. The trays have holes in them so air can flow through. A center hole serves as a channel to ensure air gets to all of the trays. The heating device and fan are either located at the top or the bottom. 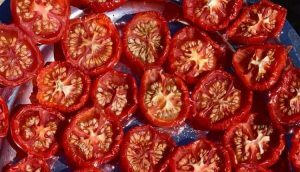 TOP TIP: To compensate for uneven drying with tray dehydrators, you can put foods which take longer to dehydrate on the bottom (such as tomato slices) and foods that don’t take as long (such as kale) on the top. These dehydrators look like mini ovens with lots of racks inside them. At the back there is a heater with a fan to blow warm air over the food. 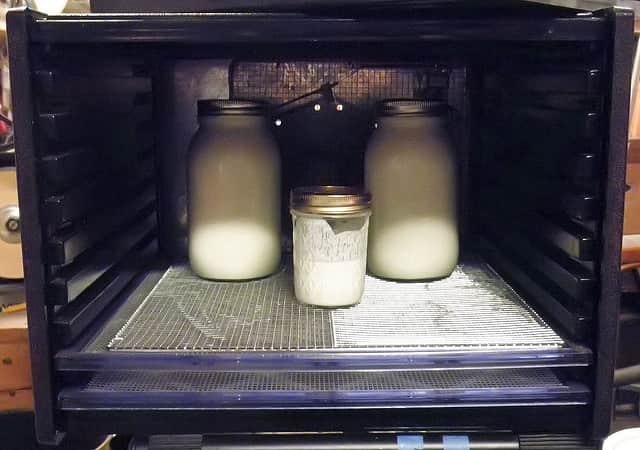 You can make yogurt in a shelf food dehydrator. The capacity of a dehydrator is usually measured by the number of shelves or trays it has. However, the capacity of two different 7-tray dehydrators can be very different depending on the tray sizes. If you only plan to do occasional dehydrating (such as for making camping meals), then a smaller model dehydrator will be fine. If you will have a lot of food at once to dehydrate (such as from your garden), then go for a larger model. 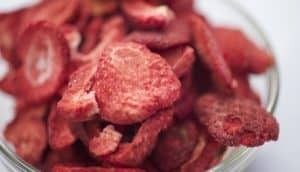 Some cheap dehydrators don’t even have temperature controls. 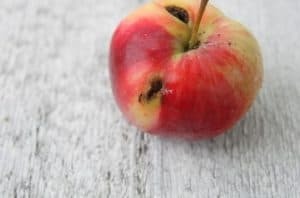 Avoid these at all cost! Without the temperature controls, you’ll be limited to what types of recipes you can make. Also, no temperature controls is a sign of a bad-quality dehydrator. Most dehydrators will reach 140 ° F. However, even quality dehydrators will fluctuate a bit in temperature. Thus, if you want to make jerky, it is best to get a dehydrator with a temperature of 155° F or above. IMPORTANT: To dehydrate meat safely, the dehydrator should be at least at a temperature of 130 to 140 degrees F throughout the entire process. It is hard to determine which dehydrators have good air flow design and quality heaters just by looking at them. Even if you read the manufacturer’s description on websites, it still won’t give you much (unbiased) info. Instead, consider looking at the reviews on sites like Amazon. The numbers of stars will give you an idea of the quality. I have a separate pantry where I do my dehydrating, so noise don’t really bother me. However, the noise can drive you crazy if it’s near your living space! Good dehydrators will have their decibel rating listed. Choose a low rating if noise matters to you. Clear Trays: If you get a stackable tray dehydrator, go for clear shelves. You’ll be able to check on the food easier without having to lift all of the trays. Timers and Auto Shutoff: Because dehydrating food takes hours, you might forget about it and end up with overly-dehydrated food. These features prevent that from happening. Multiple Temperature Settings: Only really advanced dehydrators (like the Excalibur model listed below) have this feature. It allows you to set one temperature and then switch to another temperature after a specific amount of time. Dishwasher Safe: Dehydrators get sticky, so you want trays or shelves which can be cleaned easily. Other than the price, there is nothing wrong with this dehydrator! Best For: People who occasionally dehydrate food and want a quality yet affordable dehydrator. Best For: People who want easy dehydrating of lots of food without any hassle. 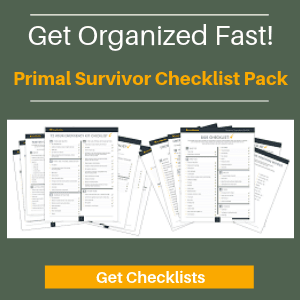 Don’t Forget about Mylar Bags and Oxygen Absorbers! If you want to use your dehydrator to dry foods for long-term storage, then you will have to seal them in mylar bags with oxygen absorbers. The oxygen absorbers remove oxygen which would cause spoilage. The mylar bag prevents light, moisture, and oxygen from getting in. For an extra level of protection put the sealed mylar bags into buckets. The buckets will keep them safe from rodents, insects, flood water, and other damage. 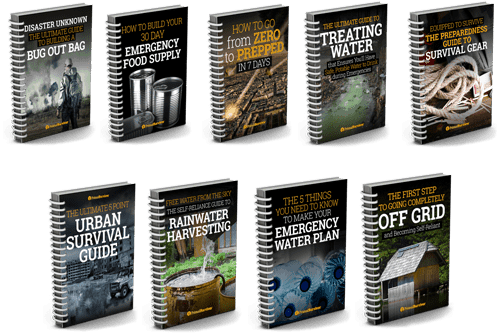 You can read more about this in my article on Food Preservation Methods. I have a Presto 6300 and a 6301. They are both the round stackable tray machines. 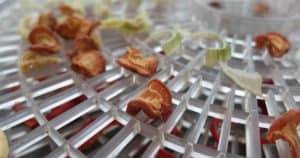 I rarely, if ever, see a review of the Presto Dehydrators. The 6300 I purchased from Amazon for $35. it did not have a temperature gauge, it was permanently set at 140 deg. I wanted more, so I also bought the 6301 for about $65. It has a timer and a temperature setting knob. I use both and put the appropriate foods in the 140 deg fixed setting machine, and use the other for everything else. I love my Prestos. Have you checked these machines? Very reasonable and easy to use, wash and store. No haven’t used a Presto before but thanks for the heads up, sounds like a decent option. I used a stackable dehydrat or with no temp control for years then upgraded to an Exca liber shelf unit. I love it and have had for 15 years! These last a long time so you can look at them as a long term investment. Thanks for this info I now know what too look for.